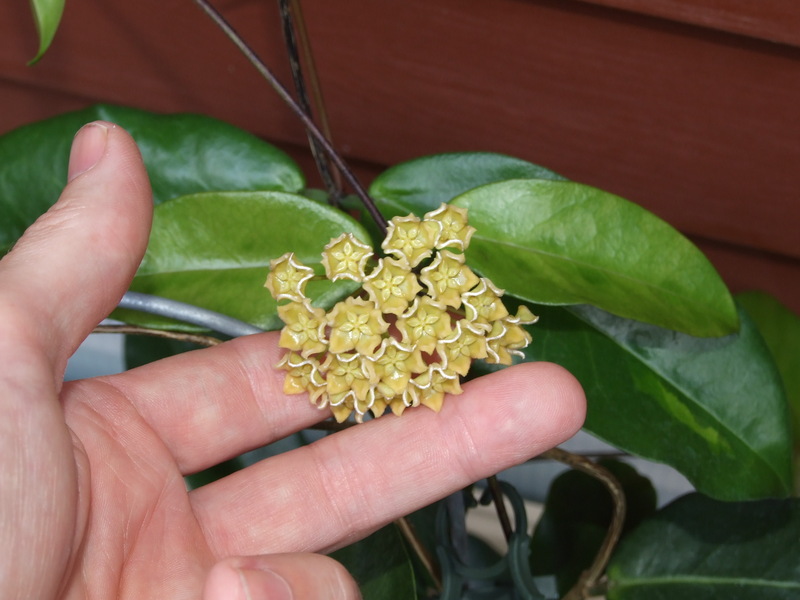 Hoya kenejiana is a very nice Hoya that flowers prolifically once established. It is a PNG native that once again will do much better with some extra warmth and humidity. Mine has really suffered this winter out in the main house. 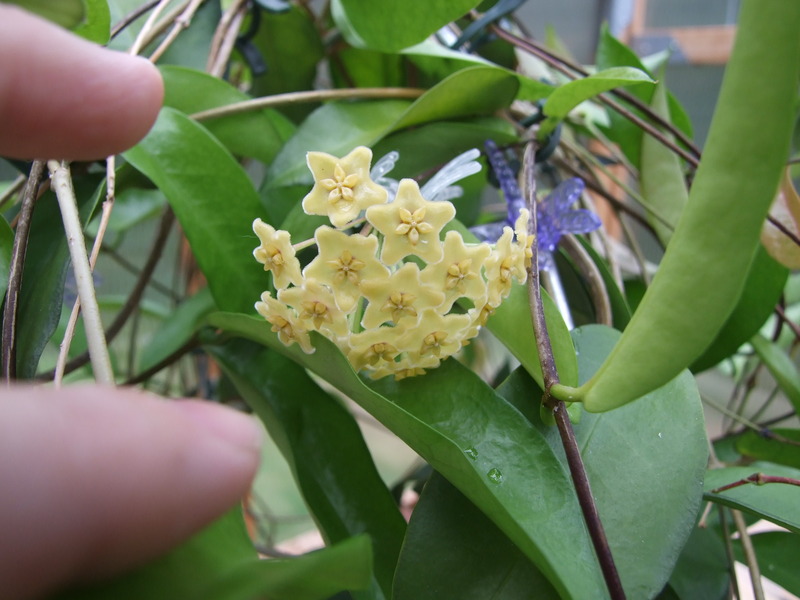 It is however a great hoya that I enthusiastically recommend. 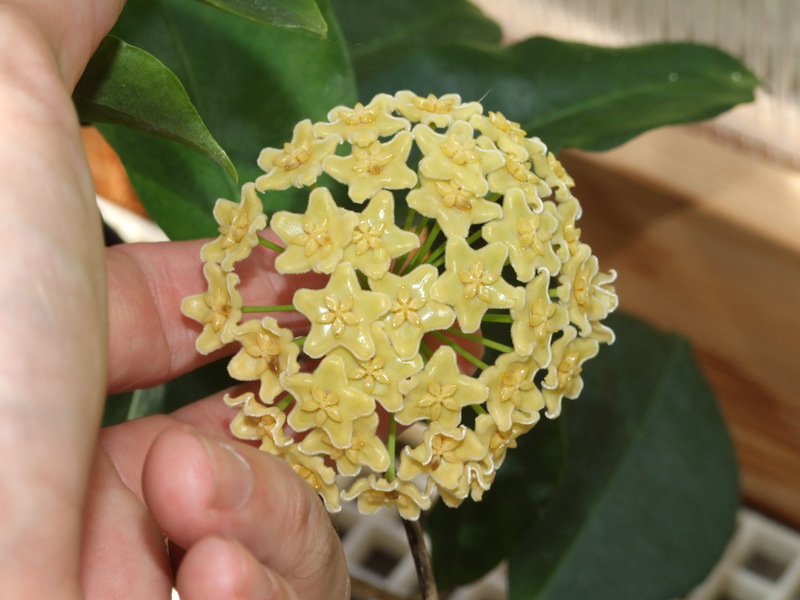 The buttery yellow flowers are quite beautiful, and with a little extra care is a hoya that you will be very proud to have in your collection.